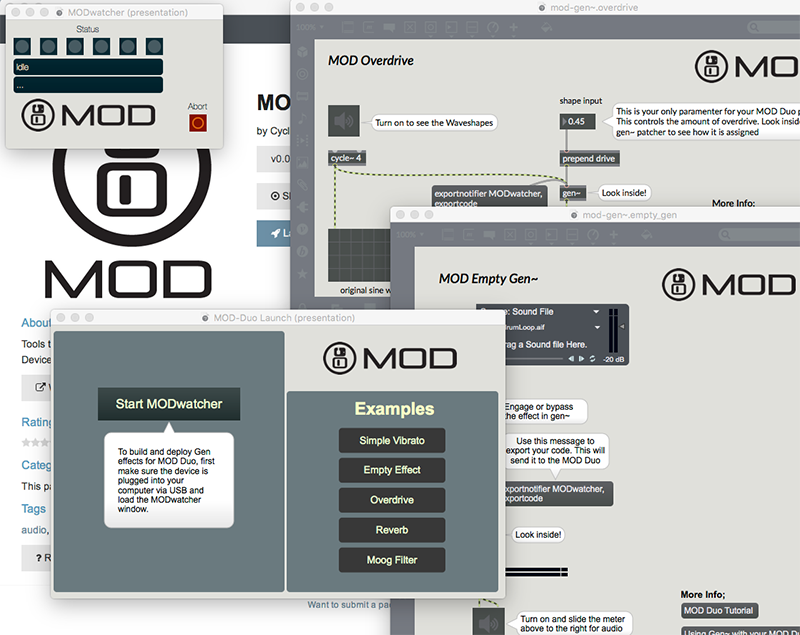 MOD Devices, makers of the ultra-flexible Duo effects pedal, have collaborated with us to create a way to export code from a gen~ object as effects for their robust hardware system. 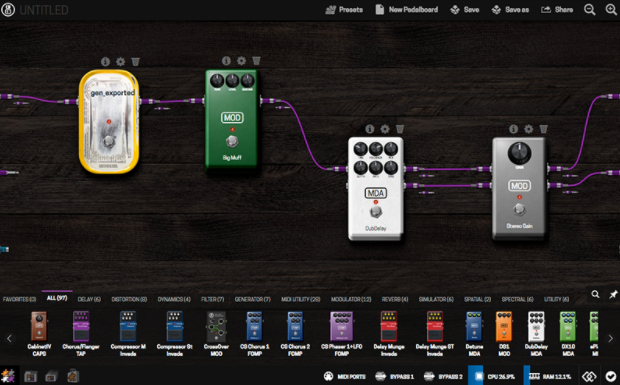 After you create code, you upload it to the pedal which has a built-in server. The included MODwatcher patcher allows you to export gen~ code from Max directly to MOD Devices cloud compiler without leaving the Max environment. MOD-Duo Launch patcher includes example patches to get you started.